A chiller is a machine that removes heat from a liquid vai a vapor-compression or absorption refrigeration cycle. This liquid can then be circulated through a heat exchanger to cool equipment, or another process stream (such as air or process water). 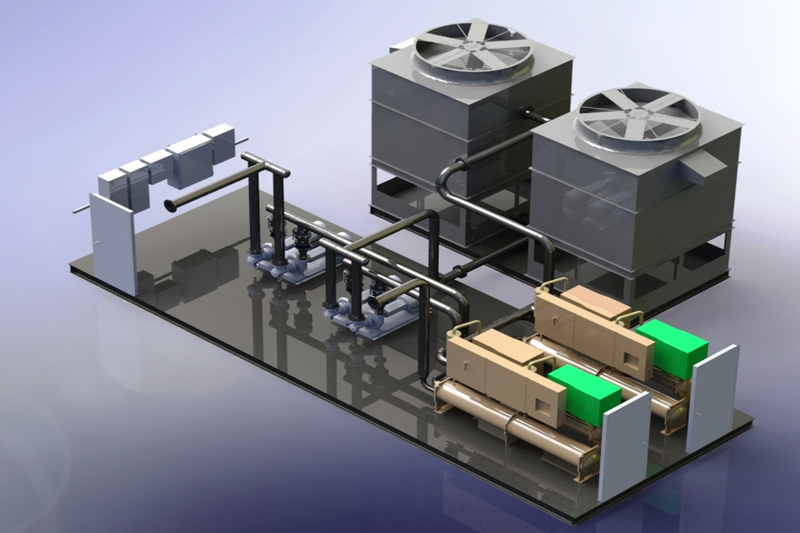 The commercial Chiller comes in 3 different types and they are water Cooled, Air Cooled and Heat Reclaim. The chiller comes with sophisticated technology that offers efficient service at a very affordable price. It has a tube heat exchanger that can offer cooling very quickly and that too without making a lot of noise. It is not very heavy and does not consume a lot of space. Since the oil feeding system of the chillers does not require any kind of electrical mechanism, the life of the compressor is increased. 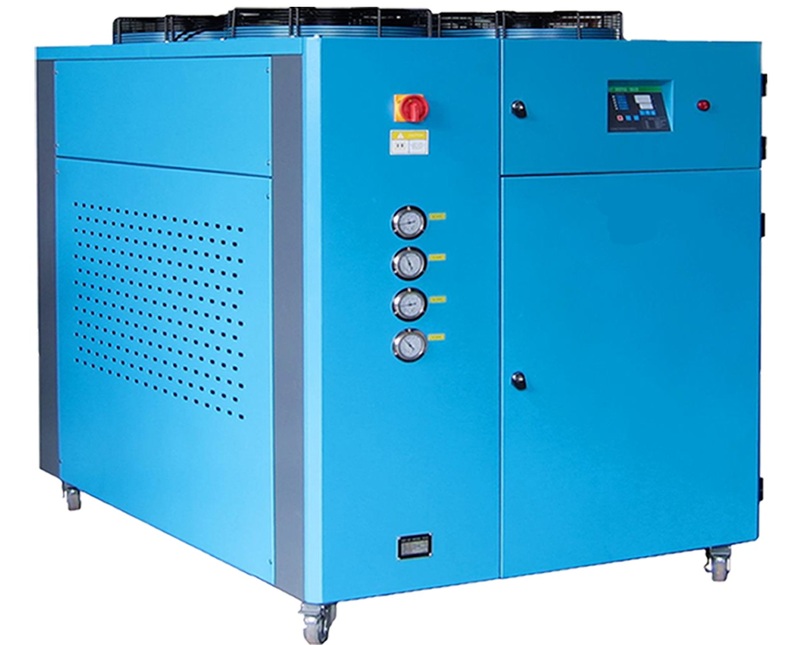 There is a continuous capacity control which maintains the temperature level in the Industrial Chillers. The vibration produced from the chillers is not very loud and offers high reliability and satisfies the needs of its users. and is very energy efficient as well. • It is easy to maintain and with built in cyclone oil seprator. • The overall heat transfer is minimized. equipped with the best and standard safety devices. Chiller system changes the physical state of refrigerant to transfer heat from one area to another. The laws of pressure-temperature relationship state that increased pressure on a refrigerant increases its temperature while decreased pressure lowers its temperature. As the refrigerant circulates through the HVAC chiller, various components change its pressure and temperature, causing it to boil into gas and condense into a liquid.